A collaboration filled with light and interactive art made viewers think about the history — and the magic — of Toronto's Rouge National Urban Park. Illuminations: human/nature happened this autumn at Toronto's Rouge National Urban Park, and it was monumental. The immersive installation saw visitors enter the park and engage with its history, landmarks and scenery. Along the way, they heard original music composed to highlight the urban space and listened to passages that illustrated the many chapters in the park's long life. Why light up such a large space? Moment Factory and artist Sarah Fuller teamed up for this project to spotlight how our spaces get formed and what they mean. 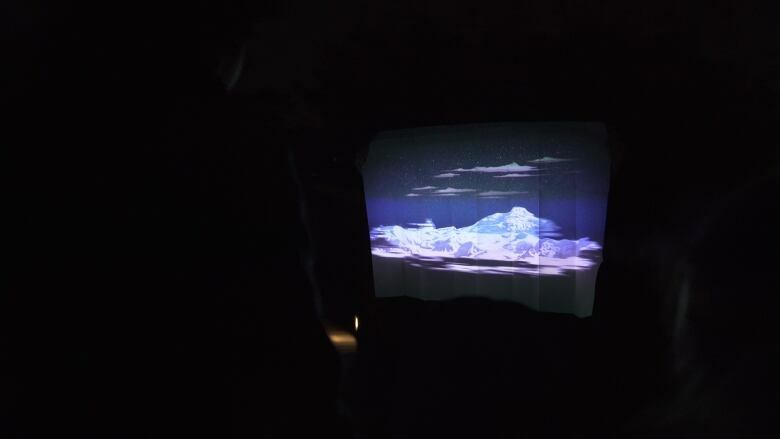 The partners first worked on Illuminations: human/nature in collaboration with the Banff Centre in Alberta, and both incarnations of Illuminations were site-specific, drawing on the individual histories of both natural spaces. The result? Two unique, flickering environments with a shared narrative connecting the country and immersing audiences in entirely new and breathtaking experiences of nature, wildlife and the people of Banff and Rouge National Parks. In this video, you'll go inside Illuminations and get a hint of what it felt like to be at Rouge National Urban Park while it was taken over by cascading sound and beams of light. Follow Moment Factory here and Sarah Fuller here. Watch CBC Arts: Exhibitionists on Friday nights at 12:30am (1am NT) and Sundays at 3:30pm (4pm NT) on CBC Television. You've read the book, now see the...art installation?